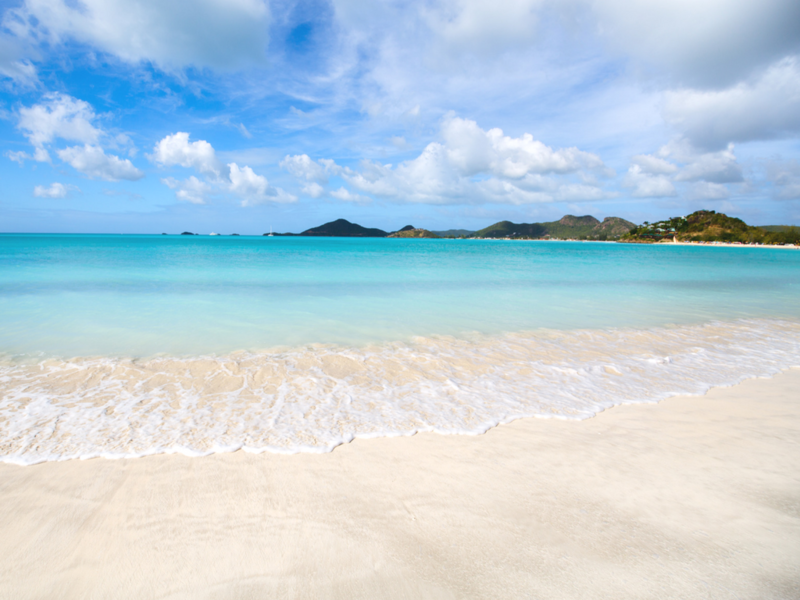 So, you’re in Antigua and you’re enjoying a spot of doing absolutely nothing at all. You’ve got your book in one hand and a Bacardi and Diet Coke in another. Life is good. And then your friend turns to you and says ‘I think we should do something different tomorrow and I think it should include some sort of sport or something exciting”. I know. I know. Different? Not what you expected? Sport? Have they even met you? I must admit, that annoying friend with the big plans, there’s a good chance it’s me! I adore relaxing, and I would be absolutely no fun on a camping and kayaking week/any sort of golf holiday (imagine Mark Francis from Made in Chelsea). But I love seeing as much of a place as I can while I am there, in case I never get the opportunity to go back again. Fun activities and making memories are what holidays are all about for me. So, for hyperactive friend appeasing, kids 18+ or just a partner with a short attention span to entertain in Antigua? Well here are some hip and adult-friendly activities to check out. 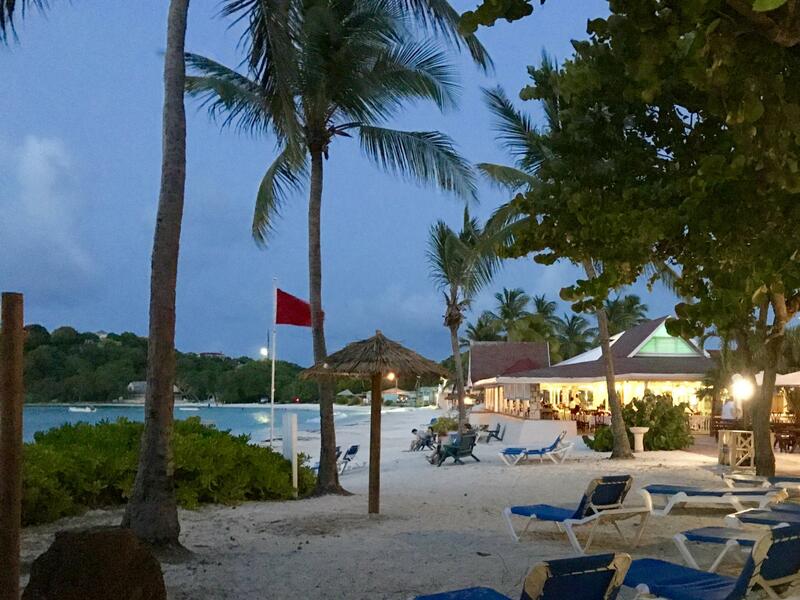 If you’re looking for hotel reviews for Antigua check out my review of Pineapple Beach Club and The Verandah Hotel and Spa or read my Fun Things To Do In Antigua post if you’re looking for more family-friendly outings. Turns Out I Don’t Have A Lovely Bunch Of Coconuts. I Have One With Rum Instead! Antigua is not large, but there is plenty to do by boat, from exploring isolated coves and offshore reefs to full-on yacht racing. They want adventure, you want to sunbathe? Suggest a boat trip to a nearby island (exciting, boating, fun times) and then sit back and chill. Everyone’s a winner! Antigua is a small island, but nearby Barbuda is even teenier at just 68 square miles, and while it has just one town (Codrington), it is the home of 8 miles of isolated beachfront, much like something from a Bond film. The beach stretches from Spanish Point to Palmetto Point, where the pink champagne colour of the sand (thanks to the crushed coral) is Instagramabble AF. Either spend a day snorkelling, sunbathing and relaxing or you can join one of the island tours available such as one to the see the large Frigate Bird colony at the northern end of the lagoon. Top tips for this trip are to take photo ID with you (suggested to be a plastic drivers license as things might get wet on the boat) and to wear converse, trainers or plimsolls in case you decide to take a walk. 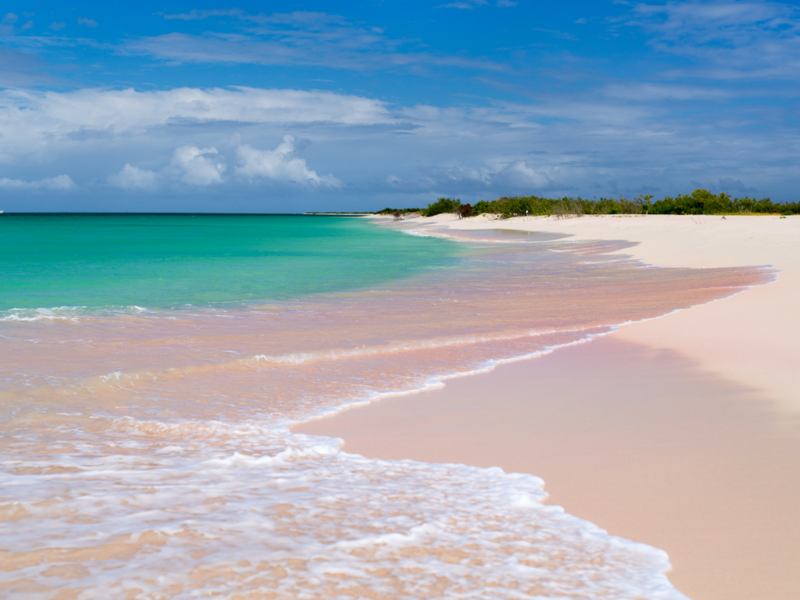 Get there via a 90-minute journey by sea from St John’s on the Barbuda Express ($85 US return). 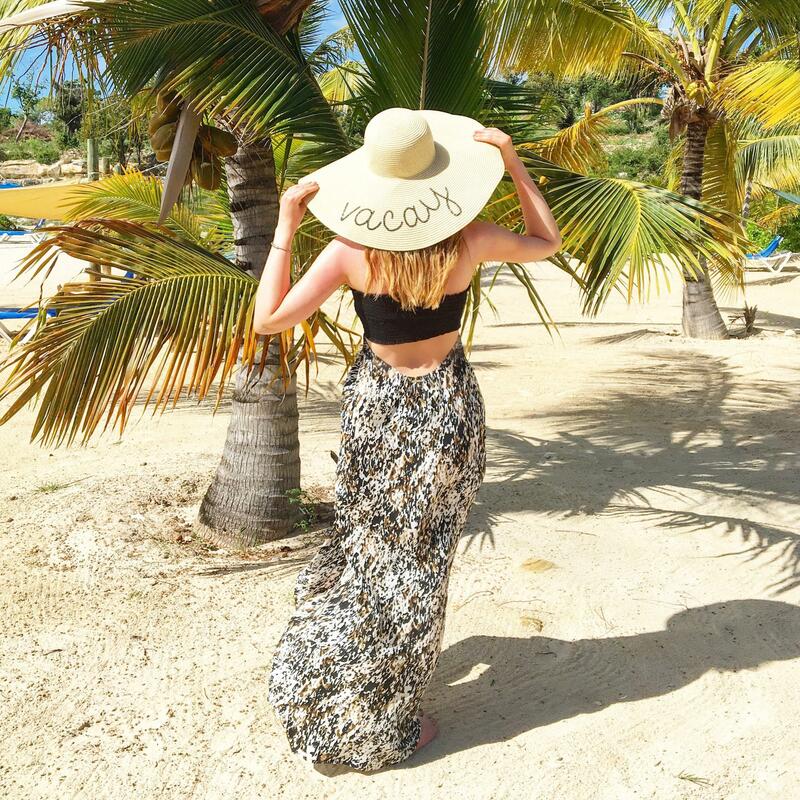 Spending a day on an uninhabited Caribbean isle sounds just perfect to me, and since Necker Island is slightly out of my budget (and that of most people) you can spend the day here pretending this is your very own tropical paradise. This tiny islet sits off the northeast corner of Antigua, and it’s a popular destination for day-trippers. Beneath the crystal-clear waters lie fields of shallow reefs loaded with tropical fish, and the sugar-sand beach is perfect for lounging. The isle is mostly deserted, however, there is a beach bar and restaurant where you can satisfy your craving for rum punch at the open bar, and enjoy a lunch of chicken, conch and lobster. Snorkeling equipment and a guide are usually included in the price of this trip, and when it’s time to relax, you can find beach chairs, umbrellas and picnic tables on the beach. The capital of Antigua is definitely worth a look around; I’d probably suggest half a day. 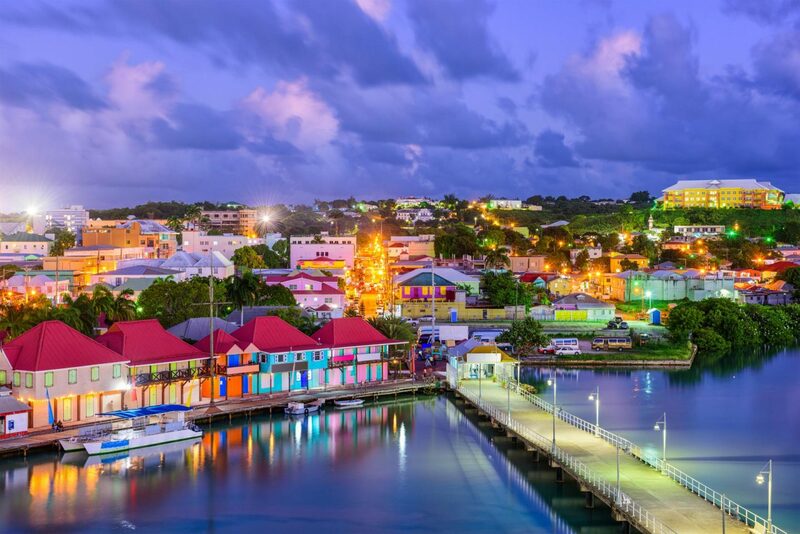 The Antigua and Barbuda Museum catalogues the island’s history, and features ancient finds, colonial artefacts and modern memorabilia and if you’re into duty free shopping then there’s Heritage Quay, the larger shopping centre and Redcliffe Quay. It’s also quite cool to just have a look at the buildings and architecture and observe how people go about their day to day life in Antigua. We went on a Friday afternoon and people had their tunes on loud in their shops and friends were hanging out and dancing at street corners. Despite not thinking I had any preconceived ideas about Antigua when I saw that I thought omg yes, that’s exactly what I wanted it to be like! The main shopping malls are in St John’s and are close to the cruise ship terminal – Heritage Quay (it’s big and pink) is the biggest one. Shops range from Gucci, Pucci and Dolce to Becca and Blumarine. There’s savings on fashion, electronics, perfume and even makeup and alcohol. There’s even a casino! All the stores are completely Duty & Tax FREE for travellers! Find out all of the shops there here. Redcliffe Quay overlooks the harbour of St John’s and is in one of the oldest parts of the town, dating back as far as the 17th century. In those days it was a busy waterfront docking area, widely regarded as the business and trading centre of the Caribbean. trading many things between Antigua, Europe and Africa. Today it is a peaceful and shady place to rest from the heat and activity of St. John’s. You can watch the yachts and boats coming and going and explore the courtyards and boardwalks to discover unique & beautiful boutiques selling gifts, pottery, paintings, and other locally made gifts. Now if you’re living it up in an all-inclusive resort in Antigua there’s probably little need to leave and spend even more money. 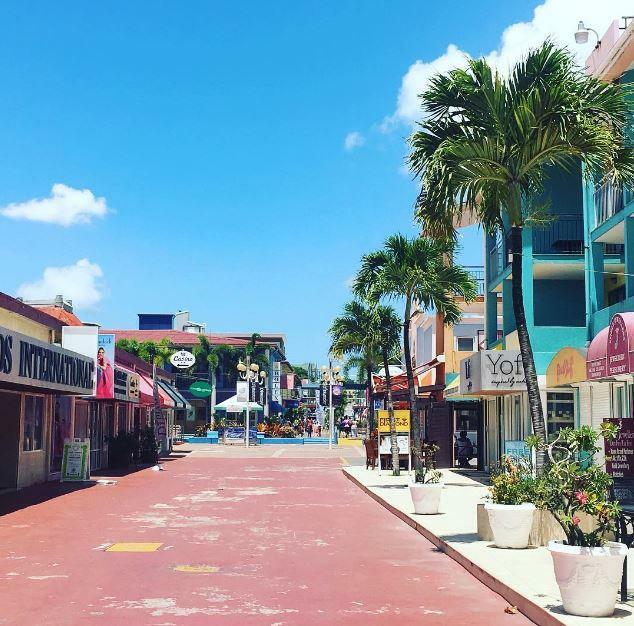 But if you just fancy trying something different or seeing what else there is to offer then here are either some places we visited and enjoyed or recommendations we got from the Antiguan friends we made along the way, as some of their favourite hangouts. Papa’s By The Sea – this adorable little beach bar and restaurant is located in the perfect spot on the eastern side of Falmouth Harbour. 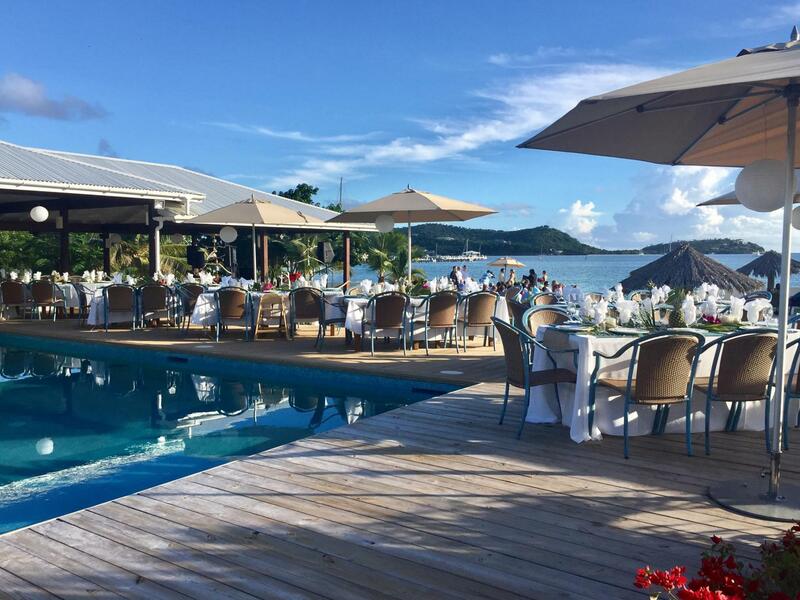 Head to Papa’s for lunch, drinks by the pool or sipping on an espresso martini as you watch the sunset on the beach. Staff are super friendly and the Caribbean vibes are great here. Papa Zouk – My gal Mikeela told me this is the place where she spends every Birthday celebrating. That’s got to be a good recommendation. This small, unpretentious restaurant serves the best rum selection on the island paired with zouk music and some fabulous seafood. 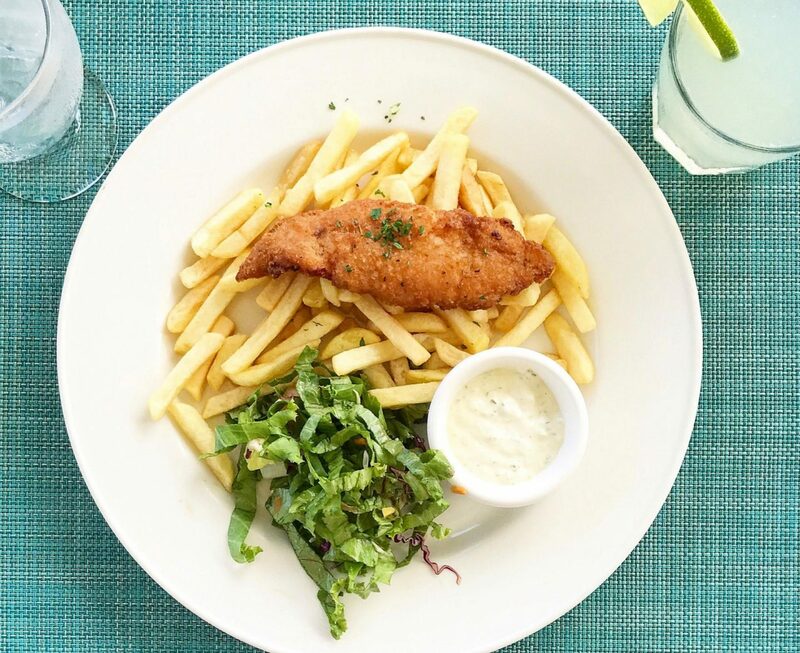 Papa Zouk is located about 10 minutes from St John’s and the hotels in Dickenson Bay and has a neighbourhood vibe as it’s so popular with locals. Tips are to go for their famous Ti punch, make a reservation via your hotel so you can get a table and to take cash, as they don’t currently accept card payments. Roadhouse – hotly tipped by basically every staff member we spoke to at Pineapple Beach Club as THE place to be after Shirley Heights on a Sunday, this is apparently where everyone you’ve met over the previous week goes. Drinks are pretty cheap, people are friendly, there’s a band and the food is fab. Now I don’t know about you, but I didn’t realise that before their yearly Carnival, Antigua have weeks of events in June and July leading up to the celebrations. Visitors can expect a series of excitement including many Pre-Carnival Fetes, and the newly rebranded Miss Antigua Barbuda Pageant, formerly hosted as the Queen of Carnival Pageant. We were extremely lucky to be in Antigua during the Fete season and so we decided to give a Fete a go! Annual Fetes are The White Fete, Red Eye, Blue Jeans and apparently one called LOL which stands for lots of liquor! Possibly safest that we didn’t end up a that one seeing the state of us after the one we did go to. The weekend we were there it was the annual Blue Jeans Fete. So, with the help of Mikeela from the Pink Panther Jeep Safari tour, we got our tickets at the Levi’s shop in St John’s and were driven there by the lovely Tash, cab driver supreme (also life coach/who you call in a panic when you’re having a personal meltdown) etc. Blue Jeans is an all-inclusive event, so you don’t need to carry money with you when you attend as drinks are already covered (and food too, depending on what ticket you buy). It’s usually held on the second weekend of July. 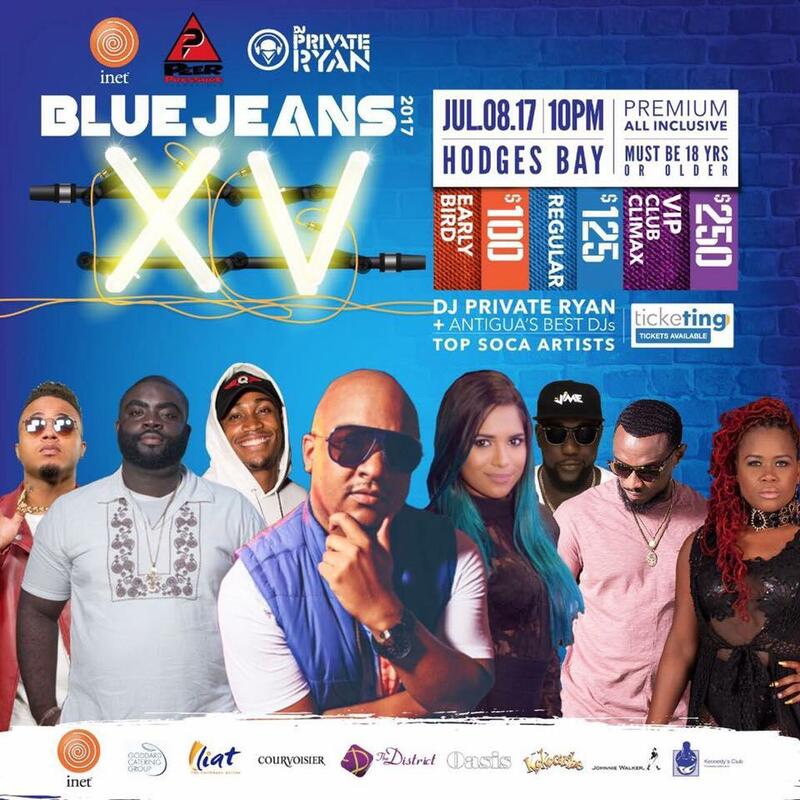 In contrast to White Fete, Blue Jeans is a far more relaxed event, where partyers are encouraged to wear denim-related outfits. There’s a fun and relaxed vibe with a number of top local artists to provide the entertainment all night long and it literally was all night, it finished around 5am. It reminded me a bit of a small version of a Wireless Festival and it was great fun, I’d definitely recommend going to one of the fetes if you’re not around for Carnival itself. Carnival in the Caribbean was designed to commemorate the emancipation of slavery, and years later has emerged into a great spectacle of fun, dancing, and creativity. Antigua’s Carnival is held every summer and is highly anticipated by both residents and visitors since it started in 1957. In comparison to other islands, Antigua’s Carnival is definitely unique, and recognized worldwide for its display of arts, culture, music, revelry, and outfits. Typically, Antigua’s Carnival runs from the last weekend in July until the first Tuesday in August. Activities are held at the Antigua Recreation Grounds. So if you want to go to Carnival, this is the time to book your trip there so you don’t miss it. I stayed at both www.pineapplebeachclub.com and the Verandah Resort and Spa which are both part of Elite Island Resorts. There’s some great offers for both hotels available with Virgin Holidays here or you can visit www.virginholidays.co.uk, call the Hotline 0344 557 3870 or visit one of their stores in Debenhams, House of Fraser, Tesco, Sainsbury’s or V-Room stores nationwide.